As a performing arts and creative space for hire in Melbourne, Meat Market is pleased to offer you and your guests discounts and offers to support your event or experience at the venue. Browse our range of partnerships and promotions to discover how you can save on your next event. If you’re interested in becoming a venue partner, contact Meat Market’s team. Check out these reduced rates for arts company rehearsals on short notice (within six weeks). Have a look at the Event Spaces page to see the rehearsal rooms available for hire and get in touch to firm up your booking with a credit card payment. No tentative bookings – it’s first in best dressed. Bookings subject to space availability. Cobblestone and Flat Floor Pavilions – Quiet rehearsal only. No technical support and house lights only. BYO qualified rigger for aerial work (subject to management approval). Available during business hours at a discounted rate. Contact us for space availability and discounted rates. Security Armed Solutions (SAS) is a boutique security company with over a decade of experience. Having worked at over 50 events in the last three years at Meat Market, SAS specialises in custom security solutions for each of our spaces. For Meat Market clients, SAS offers a 10% discount on hourly rates plus free radio equipment, electronic patron counters and handheld search wands. SAS can also provide supervisors and female guards. 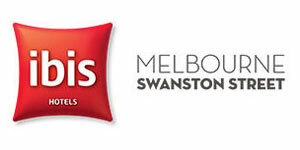 The Ibis Hotel on Swanston Street in Carlton offers quality accommodation within walking distance to Meat Market. Whether you’re stopping in for a show or organising a conference, the Ibis Hotel on 609 Swanston Street is a short walk to all of Melbourne’s best spots. Download your promotions code here to activate your discount and book online here. For more information contact Sakina Chappalwala, Digital Commerce Manager, 609 Swanston Street, Carlton, VIC 3053. Telephone: (03) 9347 3035. Mobile: 0400 827 022. Email: HA3N5-SL@accor.com. City Edge North Melbourne is located just 200 metres away from Meat Market. The ideal location to enjoy the best of the city while being in close proximity to our venue, City Edge provides modern and stylish studio apartment accommodation. Partnering with Meat Market, City Edge offers event attendees a fantastic promotional rate for studio double or twin apartments at $119 per night. 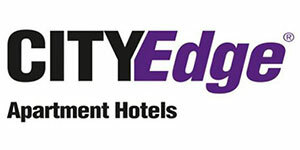 To book your accommodation call City Edge direct on (03) 9972 3034 or book online. Enter the code ‘meat market’ to access the exclusive promotion. Located within Meat Market’s heritage building, Celtic at Metropolitan offers a range of catering services to suit events of various sizes as well as private areas for hire to accommodate event after functions. Find out more about available offers for your next Meat Market event. Contact helen@celticclub.com.au or call 8535 4530 for more information on registration or catering options. Partnering with Meat Market, Dann Event Hire offers a 5% discount to Meat Market hirers. 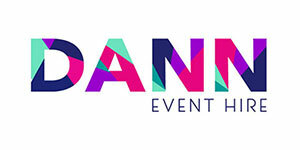 Dann Event Hire specialises in cutting edge furniture, contemporary furnishings, feature lighting solutions, quality hospitality equipment and impressive marquee structures. Contact Meat Market to arrange your discounted hire with Dann Event Hire. Evan Evans is one of Australia’s leading event signage specialists. From the smallest signs through to custom built displays, Evan Evans has the skills and expertise to make your event look amazing. They’ve worked with the AFL, Melbourne International Film Festival, Melbourne Arts Festival, Melbourne Writers Festival, Melbourne Fringe Festival and many more. Partnering with Meat Market, Evan Evans has you covered from signage concept through to final installation. Event Plants is a well-established, innovative company able to provide a variety of plants for events of all sizes. From simple displays to extravagant installations, Event Plants tailor their services to suit each individual event. They’ve worked with Tennis Australia, City of Melbourne and Melbourne Racing Club as well as modern boutique festivals, arts performances, corporate events and more. In partnership with Meat Market, Event Plants offers a 5% discount to all Meat Market hirers. To secure this discount please contact Tash Treglown, Senior Client Coordinator via tash@eventplants.com.au. Ignition Immersive, based in South Melbourne, is a company of creative filmmakers specialising in Virtual Reality films. 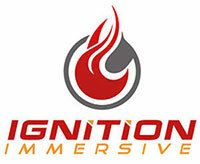 Purveyors of immersive experiences, Ignition Immersive can give your next event the perfect memento for your audience beyond the physical event. Reach a wider audience by placing them amidst the sound, sights and energy of the Pavilions and Stables. Get in contact with their producing team to find out how they can carry your event into Virtual Reality.